O apartamento fica bem perto do Festival Nos Alive, de vários comércios e supermercados. É perfeito para uma pessoa ou um casal. Esta equipado com todos os essenciais de curta ou longa estância e prima por uma decoração moderna. Adoramos o lugar. Super tranquilo, limpo e bem localizado. Cheio de gentilezas como sachês de café à vontade... Recomendo!!! Cama confortável num quarto com espaço quanto baste. Wifi bom. Oferta de cápsulas de café. Adorei a casa em geral! Espacialmente a atenção e atendimento do Anfitrião . 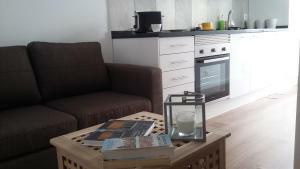 Small little gem in Alges, very comfortable and clean, I really enjoyed staying there. You have all the amenities, including coffee machine with some coffee for a good start of the day. The pateo only adds to the charm of the flat. The host was excellent, very responsive to all questions arising. Alges is far from the city center but the direct tram close by makes it relatively easy to go to central Lisbon. Definitely would stay again in this flat! Place was clean and very comfortable. Location is little bit outside of Lisboa, in suburban area named Alges, but its's well connected to the center of Lisboa. 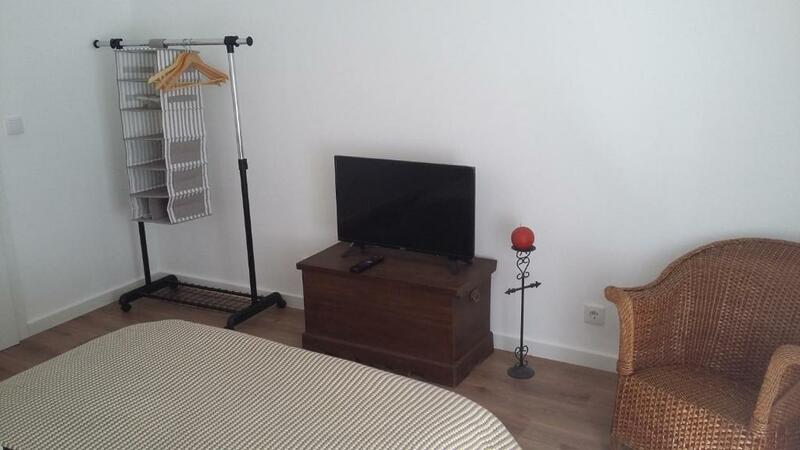 A wonderful apartment in Alges! Everything looks newly renovated with a well equipped kitchen and bathroom facilities. Super comfortable bed, great shower and a wonderful patio. Public transportation is very close and apartment is in a quite neighbourhood. And to top it off: The hosts are very friendly and helpful - getting the keys was very easy. Would stay there any time again! The apartment is great and everything was very clean and well decorated. 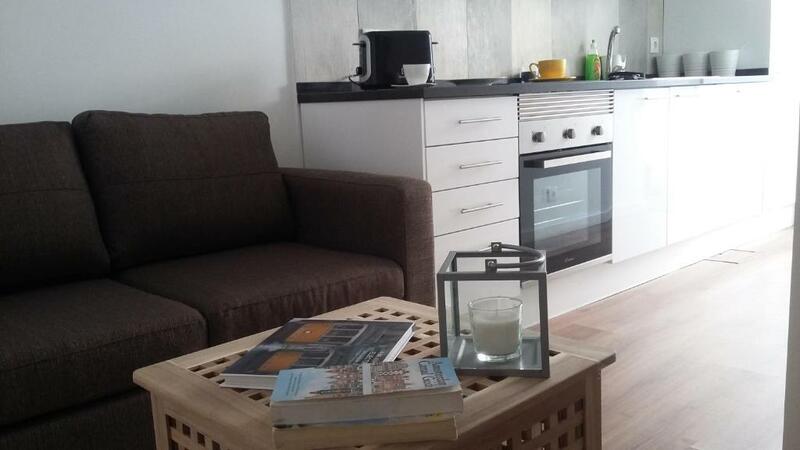 The flat is clean, fully equipped, there is even dishwasher, washing machine etc. owner is amazingly helpful guy, I kept calling him and asking questions, but he was never annoyed, good location, 1 stop from Belem tower. Highly recommended! Consiga um excelente preço em Pateo House - pontuação de 8,8 dada por hóspedes recentes. "Local calmo Cama confortável Apartamento limpo De resto, agradável no geral"
"O apartamento fica bem perto do Festival Nos Alive, de vários comércios e supermercados. É perfeito para uma pessoa ou um casal. " "Adoramos o lugar. Super tranquilo, limpo e bem localizado. Cheio de gentilezas como sachês de café à vontade... Recomendo!!!" "Cama confortável num quarto com espaço quanto baste. Wifi bom. Oferta de cápsulas de café." "Adorei a casa em geral! Espacialmente a atenção e atendimento do Anfitrião ." 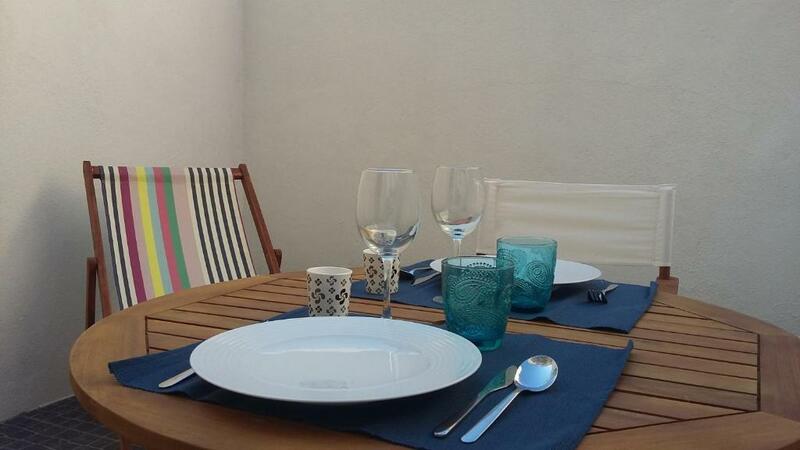 "Small little gem in Alges, very comfortable and clean, I really enjoyed staying there. You have all the amenities, including coffee machine with some coffee for a good start of the day. " "Place was clean and very comfortable. Location is little bit outside of Lisboa, in suburban area named Alges, but its's well connected to the center of Lisboa." 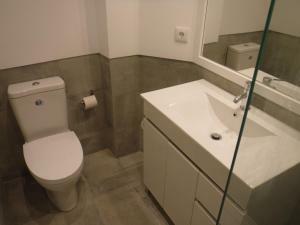 "A wonderful apartment in Alges! Everything looks newly renovated with a well equipped kitchen and bathroom facilities. Super comfortable bed, great shower and a wonderful patio. " "The apartment is great and everything was very clean and well decorated." 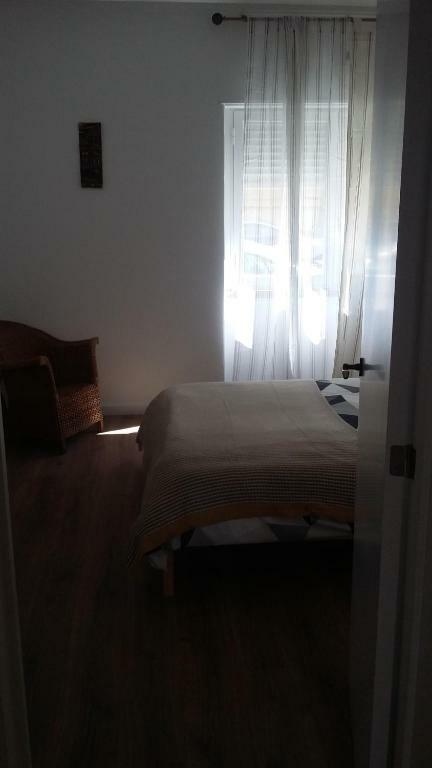 "The flat is clean, fully equipped, there is even dishwasher, washing machine etc. " Um dos campeões de vendas em Lisboa O Pateo House, uma propriedade com um jardim, está localizado em Lisboa, a 3,3 km do Mosteiro dos Jerónimos. A propriedade foi construída em 2017 e dispõe de acomodações com um terraço. O apartamento é composto por 1 quarto, uma área de refeições, uma cozinha totalmente equipada e 1 casa de banho. É fornecida uma televisão de ecrã plano com canais por satélite. O Bairro Alto e o Mercado da Ribeira ficam a 9 km do apartamento. Pateo House dá as boas-vindas a hóspedes de Booking.com desde 12 de Ago de 2017. Em que período gostaria de hospedar-se em Pateo House? Este apartamento inclui uma torradeira, um forno e uma máquina de lavar roupa. 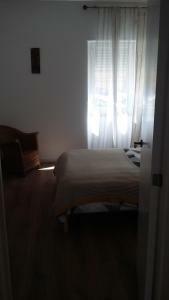 The apartment is newly renovated and is perfect for a couple. The kitchen is fully equipped with all modern appliances, so you can have breakfast or cook a meal that you can enjoy in the pleasant private patio that the apartment offers. I am always available, either by phone, email or WhatsApp, throughout your stay to support you in finding anything you may need, to help you moving around Lisbon, or to simply suggest you a restaurant or a spot to relax. Strategically in between the amazing coast of Cascais and downtown Lisbon, this cosy apartment is located in Algés, known as a traditional and quiet neighborhood next to Belém , where you can find most of the attractions and places of interest by visiting Mosteiro dos Jeronimos, Padrão dos Descobrimentos, and MAAT, and also tasting the delicious Pastel de Nata. The apartment presents excellent access to public transportation by being within walking distance from the tram, the train, and the buses, putting you 5 minutes away from Belém and 15 from Downtown. Nearby you can still find the authenticity of a typical Portuguese neighborhood with several restaurants, local groceries and cafes, but also the modern, renewed and trendy Mercado de Algés. Informação essencial Pateo House aceita pedidos especiais -adicione-o(s) no próximo passo! "Local calmo Cama confortável Apartamento limpo De resto, agradável no geral "
"O apartamento fica bem perto do Festival Nos Alive, de vários comércios e supermercados. É perfeito para uma pessoa ou um casal. Esta equipado com todos os essenciais de curta ou longa estância e prima por uma decoração moderna." 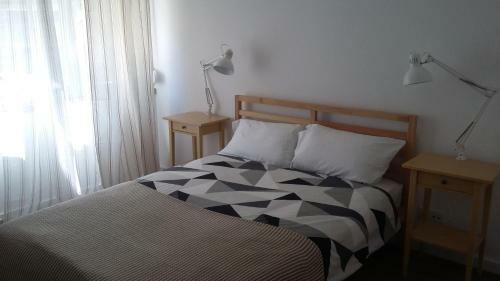 "Small little gem in Alges, very comfortable and clean, I really enjoyed staying there. You have all the amenities, including coffee machine with some coffee for a good start of the day. The pateo only adds to the charm of the flat. The host was excellent, very responsive to all questions arising. Alges is far from the city center but the direct tram close by makes it relatively easy to go to central Lisbon. Definitely would stay again in this flat!" 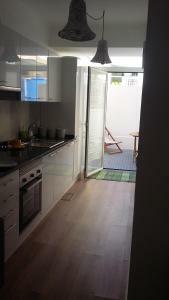 "A wonderful apartment in Alges! Everything looks newly renovated with a well equipped kitchen and bathroom facilities. Super comfortable bed, great shower and a wonderful patio. Public transportation is very close and apartment is in a quite neighbourhood. And to top it off: The hosts are very friendly and helpful - getting the keys was very easy. Would stay there any time again!" 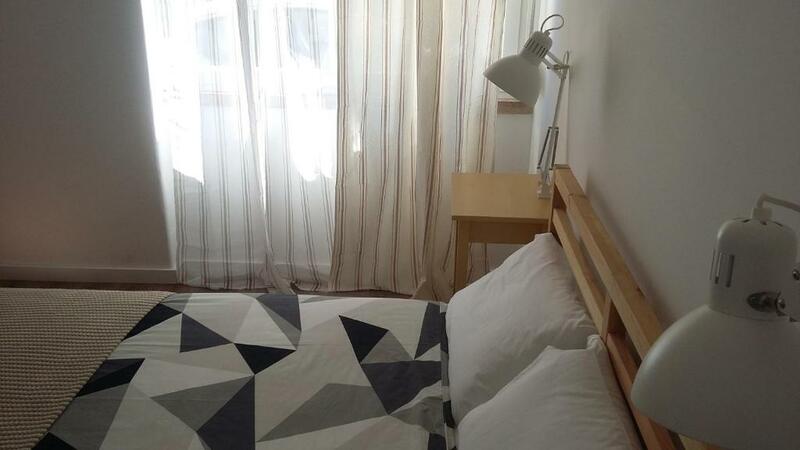 "The flat is clean, fully equipped, there is even dishwasher, washing machine etc. owner is amazingly helpful guy, I kept calling him and asking questions, but he was never annoyed, good location, 1 stop from Belem tower. Highly recommended!" "A localização vendida, não e a esperada......"
"Cumpriu o propósito, embora tivesse ficado aquém nalguns pormenores"
Casa de banho pequena, não se consegue evitar molhar a casa de banho ao tomar banho porque a água sai toda por baixo da cortina (que estava suja). Açúcar do armário húmido. Portas no geral muito difíceis de fechar. Casa pouco arejada, com cheiro a mofo. A senhora da limpeza apareceu no momento em que já me encontrava por sair do apartamento (check-out) e simplesmente apurou a minha saída sem muito tacto e paciência. Da minha parte, foi uma pena que isto passou, já que só tinha coisas boas para apontar, ou seja, o resto tudo excelente! "Apartamento confortável, com ambiente muito agradável e limpo! O Sr. Afonso foi muito simpático." O contador da luz era fraquinho. "Foi como estar em minha casa.. só que nao estava! muito bom!" Ótimas instalações, parabéns pelo bom gosto na renovação\remodelação. É como estar em casa, não tenho nada a acrescentar para melhorarem. Zona residencial, muito calma tranquila e segura. "Um lugar muito agradável para pernoitar ou para passar uns dias, só ou acompanhado." Para ser perfeito faltou uma pequena secretária ou uma mesa e uma cadeira no interior da casa. Simpatia e solicitude do proprietário. Decoração e limpeza. Silêncio. 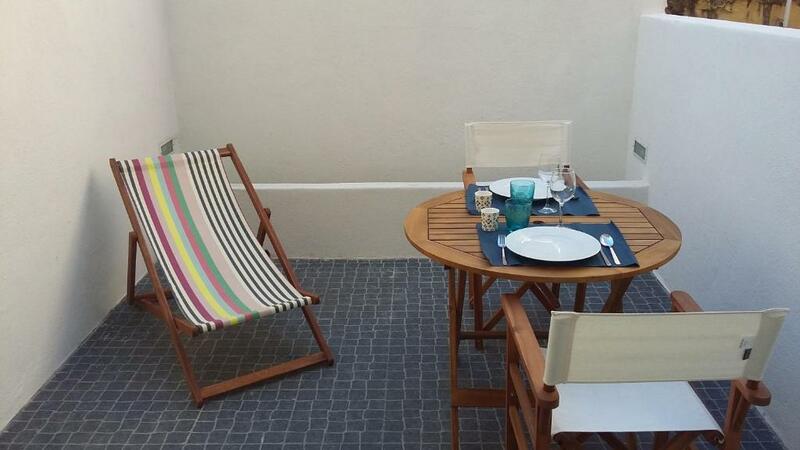 Localização: existe tudo o que precisamos nas proximidades do apartamento, desde bancos até bons restaurantes e cafés.